Talina in the Tower is set about thirty years earlier than the adventures of Teo and Renzo, the heroine and hero of The Undrowned Child and The Mourning Emporium. So the story concerns a whole new cast of characters (though two old friends will appear, in their younger days, of course). 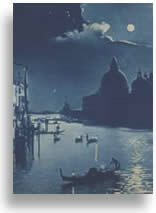 And one major character is still the same: the floating city of Venice - magical, beautiful and mysterious as ever - but now facing an enemy quite unlike any she has ever seen before. Talina in the Tower is the tale of a girl who is more passionate than she is careful. 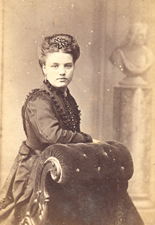 Talina Molin, the daughter of an archivist, has earned herself the reputation of being the most impudent girl in Venice. When she's not campaigning for egrets' rights, or terrorizing the school librarian, Talina adores reading, cooking and magic. When she mixes all three together, she cooks up more than she had bargained for. 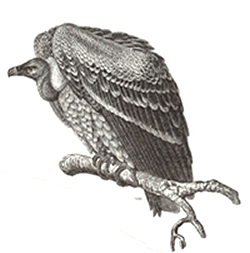 The story takes place in a sinister late nineteenth-century Venice, one inhabited not just by frightened people but also by ferocious foul-mouthed tomcats, argumentative rats and evil vultures. Why is everyone so frightened? In the dead of night, terrifying creatures called Ravageurs have started to prowl the waterways of Venice, snatching men and women, not to mention children and cats. They are also emptying the bakers' and the sweet shops of every cake and candy. The Venetians try to pretend that the Ravageurs do not exist. They blame the raids and kidnappings on imaginary Pastry-Bandits from the rough mainland city of Rovigo. Talina's own parents disappear under suspicious circumstances. Talina and her loyal cat, Drusilla, are forced to go to live with her sinister Guardian in his gaunt and lonely tower on the northernmost edge of the city. Fending for herself in the cold kitchen of the tower, Talina cooks up an unusual problem for herself. Always absorbent of magic, she accidentally turns herself into a cat. 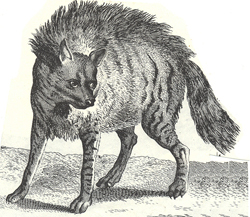 Saved by her schoolfriend Ambrogio, Talina next finds herself caught in a fast-paced adventure, one in which she can never be sure whether she is more human than cat, rat, vulture ... or Ravageur. When the situation seems desperate, there's help on hand from the eccentric but brilliant young Professor Marin, his historian friend Giuseppe Tassini and the glamorous - though extremely strict - French mistress Mademoiselle Emilie Chouette. 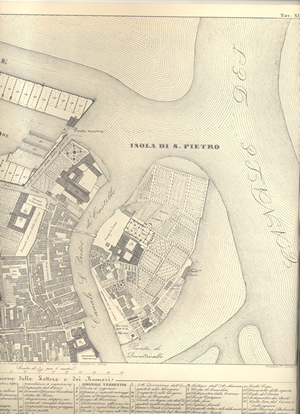 Yet when it comes to saving Venice, the greatest help comes from a most surprising source. The story explores ideas of ownership and identity. Who owns a city? What can a child own? What rights does a child have? How can you stay true to yourself, and yet grow as a person? Talina in the Tower also looks at leadership, and discrimination and prejudice. It asks the question: if you are 'high up', do you really have the best view? And most of all, can you really say that you 'own' another creature in this world? 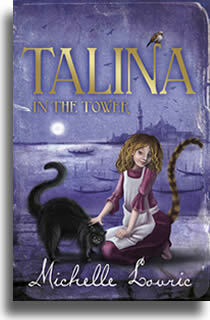 Talina in the Tower: published in the UK by Orion on February 2nd 2012. Michelle Lovric has written articles and blogs about the process of writing and researching Talina in the Tower and her other children's books. Check the News section of the site for details.